You need to know who your tribe is. You really have to nail down your talking points before you go on a show. Sum up your message into one very memorable thing, and one place to go. That's really the formula to nailing this podcast thing. Get really, really good at telling your stories and being flexible with it so it doesn't sound like you're reading. Don't wait until every single thing in the world is perfect to get started. That's never going to happen. That time period will never exist. You have to get started [now]. Think of the results you want to achieve in the end. Like what is the goal that you're doing this whole program for? Niche it down to who you serve, because that's going to help you figure out who the opinion leaders are. Doug: Well, welcome back listeners to another episode of Real Marketing, Real Fast. Today in studio I've got joining me, Jeremy Ryan Slate. He is the founder of Create Your Own Life podcast, which studies the highest performers in the world. He studied literature at Oxford University and is a former champion power lifter turned new media entrepreneur. He specializes in using podcasts and new media to create celebrity for himself, as well as his clients. 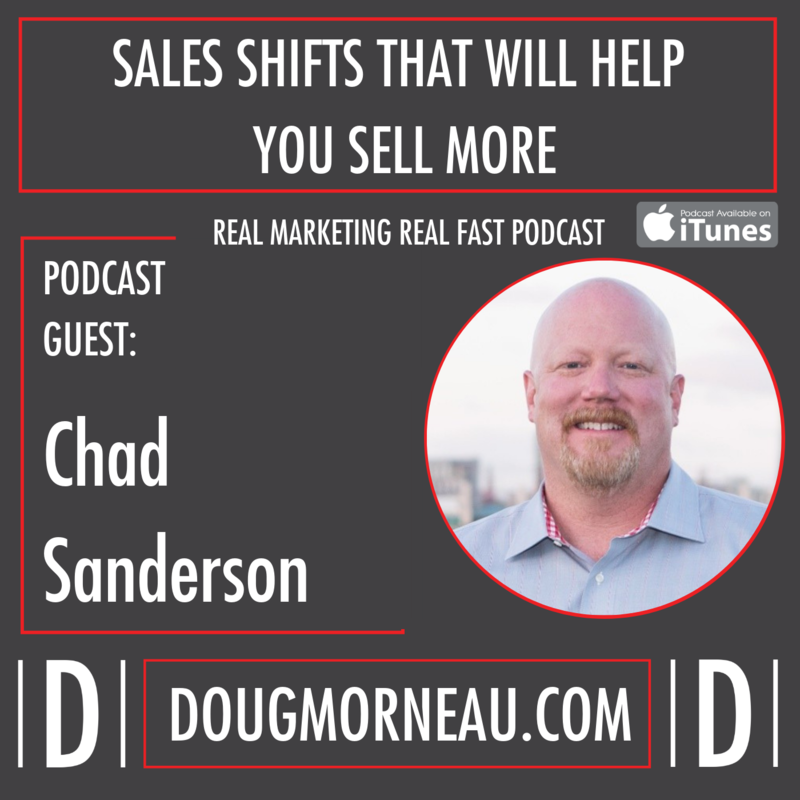 He was ranked number one in iTunes, new and know worthy, and number one in the business category, as well as ranked number 78 in the top 100 podcasts by iTunes. Jeremy was also named one of the 26 top podcasts to follow in 2017 as well as 2018 by CIO Magazine, and also recommended as the best podcast to listen to by Inc. Magazine 2019, and the millennial influencer to follow in 2018 by Buzzfeed. So, the Create Your Own Life podcast has been downloaded now over a million times, in addition to that Jeremy is also a featured writer for Influencive and Business.com. So, after his success in podcasting Jeremy and his wife founded Command Your Own Brand Media, and the goal is to help entrepreneurs get their message out by appearing as guests on podcasts and help podcasters become more profitable. So, if you are a podcaster and you're looking to drive revenue, or if you have a business, you're an entrepreneur in the marketing department, and you're looking at opportunities to be a guest on other people's podcasts that have your audience as listeners, then stay tuned, sit down and listen, because here comes Jeremy Slate to the Real Marketing, Real Fast podcast. Hello, Jeremy, I'm super excited to have you on the show today and to draw in your expertise. I mean, you have achieved some amazing things in your life and your business. So, welcome to Real Marketing Podcast today. Jeremy Slate: Hey, thank you so much for having me, Doug. I'm really humbled that you took the time to have me out, I know, since you just recently rocked the mic on my show, so glad to kind of reciprocate, man. Doug: Yeah, I mean, I've been following you on social media for a while, and we connected at the New Media Summit, and it's just been amazing watching some of the stuff that your doing, but so you've got lots of confidence, lots of momentum, and you're moving forward. So, how do you work with people and kind of what's your superpower to help them grow their business? Doug: So, you're what? You're 425 or 400 plus episodes in your own show right now? Jeremy Slate: 547 as of yesterday. Doug: Oh, 547. Sorry, I was way off the mark. I have to do a little more batch listening to catch up. So, what type of clients do you typically work with? I mean, I'm a fairly new podcaster, just been doing this a little over a year, I'm really enjoying it, enjoying the conversations, love connecting with people before and after the show, and so I see the benefit of it, and I'm just now starting to appear in other people's shows, but I had never really considered that at the beginning. So, where do people come to you? At what point? Jeremy Slate: So, it's interesting, because I find most of our clients are CEOs or founders, and they usually have an organization of, they don't usually have more than five people. That's usually about the size of their team. So, they're really interested in having somebody help them and do it for them. We also like, in 2018, took a look at the clients that we served and we found out that 80% of them either had a podcast when they came to us or started one after they worked with us. So, we found out a lot of the clients we served were actually podcasters, interestingly enough. So, we added extra services to our packages when we service a podcaster to help them even more. So, it's interesting we're really helping people that want to get out there, get their voice heard, and reach the right people. I like to say that our ideal client is Gary Vanderchuck before somebody knew who he was. Do you know what I mean? Somebody who's got a great business, a great purpose, and they just need the help getting out there. Doug: Sure, that makes sense, and it makes sense as a podcaster to be on a podcast. 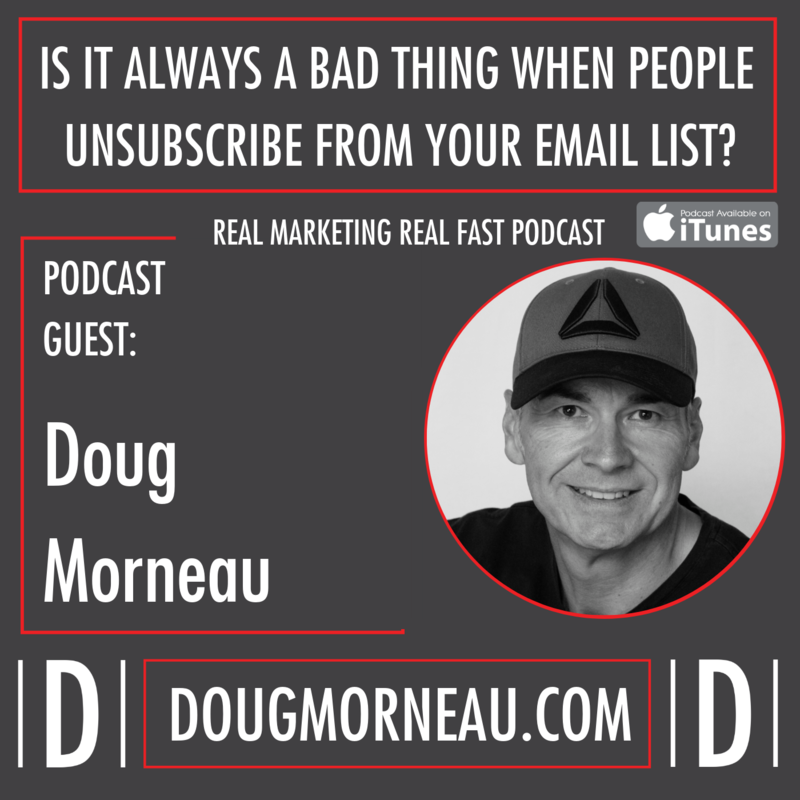 Doug: I tell people, they say, “I want to build my email list.” I say, “Then why don't we rent other people's list and mail to them, because now that they're on someone else's list, so they like email. So, the same here. They're already listening to and broadcasting or sharing their own message to through their own podcast. So, you're actually borrowing influence in that way, too. Doug: Well, if you look at the big thing these days, it's all about native advertising, so people have gotten away from banners and all the traditional stuff and they're doing native, and I would say this is a lot cleaner transition than native advertising, because it's conversational, but again you're reaching somebody else's audience. You're leveraging their brand, leveraging their reach to talk about your story, your background, and how you help people. Jeremy Slate: 100% and that's the cool part about it, too, because I feel that it's a less stressful situation. Because you're actually just sitting down having a conversation with somebody, and that's the real difference because people actually feel like they know you. They feel like they can connect with you. They feel like, it's way different than a marketing message that they're going to receive because they feel like they actually spent time with you. I think that's the real difference is you're creating trust on a podcast in a way that you just really can't do on that many other mediums, and you're also able to reach people with a share of time that you couldn't typically do as well, because if somebody's watching a video, and driving a car, it's not going to end well, but they can listen to a podcast, and you can actually get that share of their time while they're communing, while they're in the car, when they're at the gym, and this is a share of time that just isn't really available with other mediums, or accidents may happen. Doug: So, for our listeners, they obviously listen to podcasts, so, what would you tell them if they're considering this as a media. So, what are the starting points? Jeremy Slate: Well, the thing I always tell people first and foremost is, you need to know who your tribe is, like right off the bat. Because if you don't, anything else you do after this, doesn't matter. We had a client that before they came to work with us, was actually on the Oprah Winfrey show, and did not get a single lead, because it wasn't their people. Oprah Winfrey did not care. Oprah Winfrey's tribe did not care about their product. So, you have to make sure that you're appearing in front of the right people, first and foremost. Then, after that, you really have to nail down your talking points on that show, because so many times people appear as a great guest, but since there's no structure to it, they don't really know where it's going. It's a little bit of personal story, so people can see that you have credibility, and they can actually feel like they know where you're coming from, and the message, because you're going to give them the three to five things that are most important to get the result, and then a call to action. I see so many people more than often that either spend way too much time on story, and there's no time for teaching anything, or they have a great story, a great message, and they say, “Okay, you can find me on Twitter here, on Facebook here, this is my grandmother's email address. This is my website.” They give out like 30 different links, and if somebody's in a car, or doing something else, they don't have a pen. They're not going to remember this. So, it really has to be summed up into one very, very memorable thing, and one place to go, and then that's really the formula to nailing this podcast. It's going to be a little different on every show, like here we talk for a few seconds about my story, and we're talking mainly about the message, and there will be a call to action of some sort at the end, but you have to make sure that you have that lined up in the right way when you go on a show, because it's so vital to actually have people follow you at the end. If you don't have that lined up, and you're not in front of the right people, it's not going to work. Well, somebody listening to you on that episode for 15 minutes, a half-an-hour, 40 minutes, whatever it is, give them so much value that they want to come out and find you, but I find so many people want to be that scarcity person because they're afraid. It actually doesn't create trust and doesn't show your expertise. Jeremy Slate: 100% and one of our clients that were in the real estate space and saw the most success off of shows would get on and deliver so much value, hosts were asking to hire him at the end of interviews, and I think that's something else that people also don't take into consideration as well is, you're meeting some amazing people that you may also share your mission with. If you show up as Mr. or Ms. Scarcity, it's not serving anybody, and you're also just not helping anybody. I think that's the difference because here's the great reward, Doug. Let's say you get on there and you show up so much value and nobody works with you, but somebody that was on that show, heard what you offered, applied it, and they go to the next level. That's pretty incredible as well, and I think that's something people aren't thinking about too, because they're just thinking about, “Oh, where's the end-product business?” Well, who are you actually helping and serving? Because it will come back around to you. Doug: Yeah, absolutely. I mean, you can't work with everybody, so you're right. If you can add value and you can help somebody move the sales dial or take that step forward to overcome that hurdle that they're trying to get over, that's a great thing. I mean that's why, I can't speak for everybody, but that's why I'm doing this. Doug: It's called have fun, make money. Jeremy Slate: That's so true, and can I just say first and foremost about just to reiterate what you just said about marketing 101 with knowing your audience, Doug, it's funny though because I'll still have conversations with people that say, “My audience is everyone.” Well, no one's listening. You still have to be clear on who that person is. You can't help everyone. In terms of really nailing down that message, the way I like to explain it is that there are different lenses you can tell your story though, right? The information that I'm giving you is going to be similar on another show, but it's not going to be told the same way, and that's the thing you have to get really, really good at with your stories being flexible with it, and not feeling like you're reading. I did have a guest one time on my show where I stopped them, “Like, dude. Are you reading? It actually does sound like you're reading.” He's like, “No, I am not reading. I actually speak this way.” I'm like, “Okay, cool. He's not reading.” But you do need to be able to be flexible with that story and be comfortable with it. Like it should be real and true to who you are, but it should also display your expertise. So you always need to figure out what is that differentiating factor. This is something I learned from one of my absolute favorite branding guys out there, David Brier, and he talks about, “If you don't know how your differentiating, your actually promoting your space and not yourself.” So, in your talking points, you need to figure out, “How am I differentiating, and how am I also taking somebody along that process of achieving the result that I tell them I can help them achieve?” And you have to be flexible with your audience, like know who you're talking to. You wouldn't get in front of an audience of doctors and start telling about how they're going to change their tires. Your correct audience there is automotive people, you really need to nail that down when you're telling it because your story can be told in so many different lenses, you just need to make sure it matches up with the one you're in front of. Doug: So, what was the biggest breakthrough for you with your own show once you started appearing on the guest? Jeremy Slate: I actually started, so number one our downloads went up, which is always great, but I started getting speaking requests, and I started getting magazine features and other stuff, because people are hearing me on other shows, and that was pretty incredible, so it was a huge bump up in my brand of I got the product I was looking for, which was more exposure, but then all these other things I didn't expect started happening for me. So, it was a real breakthrough moment for me, because I was getting stages, and getting other things that I didn't intend so the growth was pretty incredible. Doug: Well, it's funny you say that because I've often said that when you were sitting down planning on marketing, or planning on advertising, lots of times we're over analyzing and if you just get started a lot of things that you can't anticipate will just show up. So, as you said, you got additional media coverage, so you've got earned media and print, and your name is one of the top podcasters to follow. So, all these things started happening after you took those steps and started moving forward. Jeremy Slate: And I'm totally going to agree there, Doug, because I think too many people wait, you probably see this with clients you work with, too many wait for the perfect storm, like, “Every single thing in the world has to be perfect, and then I'll start,” but here's the thing is, that's never going to happen. That time period will never exist. You have to get started. You have to get moving, and sometimes you're going to find that what you thought, in the beginning, was not true, and you're going to find out even with interviews. Like some things that you thought were very important to your audience by doing it, you're going to find out, “Hey, they don't care as much,” and you're also going to get more clear on your own message. I just had a client tell me recently, “The exposure was great.” His show growing was great, but the greatest gift to him was the clarity of his message. He felt like he knew what he was saying so much more, who he was saying it to, and was more sure about he was doing. I think that's the by-product that people don't always think about. You don't have to know it all in the beginning, man. You can work it out sometimes. Doug: I found that my message got clearer the more times people asked me, because like you said you're working with different and they all approach their interviews a different way, a different style, and they have Aha moments, and go, “Oh, I never thought of that. What about this?” So, it helped, I find it helped me refine kind of what I was doing. Jeremy Slate: 100% because I think, I don't know if you've done this, but I know I've definitely done this like we have things we're pretty good at. So, when people don't understand it we're like, “What? How do you not know that? Everybody knows how to do that,” and I think this actually came upon your interview with me, but anyway, I feel like there are some things that we do as second knowledge, and we actually don't realize that there's actually a lower gradient to what we're even talking about, and it helps us to even refine that, and speak to people even more clearly, and give them what they need, because sometimes realize our love of what we're talking about may be too high. We have to kind of scale it back and bring back to a level where somebody can learn it. Doug: So, for people considering this, kind of what is the approach? How long should the anticipate going to take before you get ramped up and get started in and see some interviews coming in? Jeremy Slate: So, it depends, because I find as an agency it usually takes us like three to four weeks to bring somebody onboard before we get them booked. Now, if you're doing it yourself, and how big your team is. It's going to depend on if you're doing this totally yourself and running your business and everything else, it's going to take longer, but the thing you really need to think of is the results you want to achieve in the end. Like what is the goal that you're doing this whole program for? Because I find so many people start without a goal, and they're like, “Oh, I'm not getting where I wanted to go,” because you didn't start with a target. Doug: Where were you trying to go? Jeremy Slate: Right. You start with a target, man. So, that's number one, and then number two you start small and work your way up. I tell people to start with shows that have less than 20 episodes and less than 20 reviews, because they're very new in the process, and it's going to be a little bit more obtainable for you, and it's going to help you build in the PR world is called a portfolio of press. It's going to help you build some features so that you can start to climb the ladder and go up to bigger shows and bigger shows, and what not. So you really need to start small and work your way up. The other thing that I found, in terms of getting yourself a booking, the best way to do it, is I love this Google Chrome plugin called Hunter.io, it used to be called Email Hunter, and you can use it to figure out who's the decision maker at a different website or podcast or whatever. So, you're talking to the right person, because I find too many times I like to call the contact from the black hole. If you ever fill out a contact form, you're never going to hear anything back. You're just going to be added to someone's email list and be very frustrated about it. So, you really want to try and to talk to the decision maker and talk about how you can help their audience, because I find too many times, even when they're brand new and they don't have much backing it up, people approach it as, “So, I'm really awesome, and you're lucky to spend time with me, and this is why,” and you're not going to win a lot of friends that way. You have to look at what is this show trying to achieve, what can you teach, and how can you help that audience? You're going to find out you're going to win a lot more when you approach it in that way. Doug: Yeah, I mean, that makes a lot of sense. I mean if you think about it, it's no different than trying to pitch to the media. They're not there to do advertising for you. They're there to serve their audience any content that's valuable for the audience. So podcasting or being a podcast guest is no different. We are a media source and we need good content for listeners. Jeremy Slate: Well, and it's interesting too because I feel like when you approach it in a way of not really serving and more of them, “Look how awesome I am,” standpoint, you actually instantly create resistance. Do you know what I mean? Because somebody now wants to prove wrong that you're awesome. You know what I'm saying, so it's like you're opening people up to being critical. Take a look at what their show is trying to achieve and how you can serve that, and you're going to be a lot more successful with that, rather than just opening people to being critical. Doug: So, you said earlier on that you need to find your right tribe and find the right podcast. So, how do people go about starting that process? Jeremy Slate: Well, first and foremost you need to look at who do you serve in your business? And it's funny too, because the more we talk to people, I find that they don't always know that, and you just want to help with that. You want to help them figure out what that looks like. So, first and foremost, really niche it down to who you serve, because that's going to help you figure out who are their opinion leaders, and once you can kind of look at some of those opinion leaders, it's super old school, but I still like to use iTunes and prefer to do it on a Mac, by the way, because if you've ever opened iTunes on a PC, it does not have the same functionality. Most of the reviews and everything else just don't show up, so it's just not the same UX, but I like to use that, and then when you go to a show, you can go to the tab that says related, and what you can look at is people that also subscribed to the show, subscribed to blank show, and then what you try to do is kind of work your way down the scale of what those shows look like. Well, because you didn't follow up with them, and as an email marketer, you probably understand this. It's checking back with people. You're actually going to have more results the second time around than even that first pitch, probably. Doug: Yeah, and really what I found the follow up is at least three times. When I used to do a lot of direct mail, I would get 75% results in the third mailing. Jeremy Slate: Mm-hmm (affirmative). 100%. 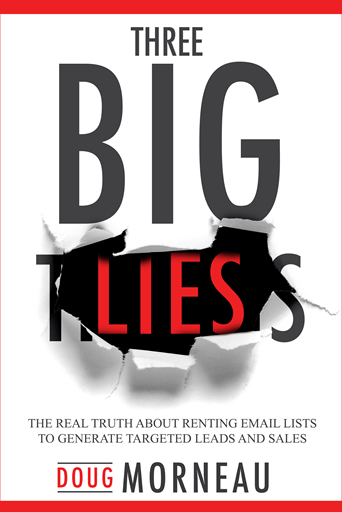 Jeremy Slate: Well, and you also have to know, just because me, with everything I've done, it's really all about knowing the rules of the email marketing as well. You have to know are things you're saying in that email going to get you sent to spam. That's really important to know as well. Do you have a good quality subject line? Are you using something like banana tags so that you can see if people are opening your email? If your emails aren't getting opened, then there's a reason you're not getting bookings. 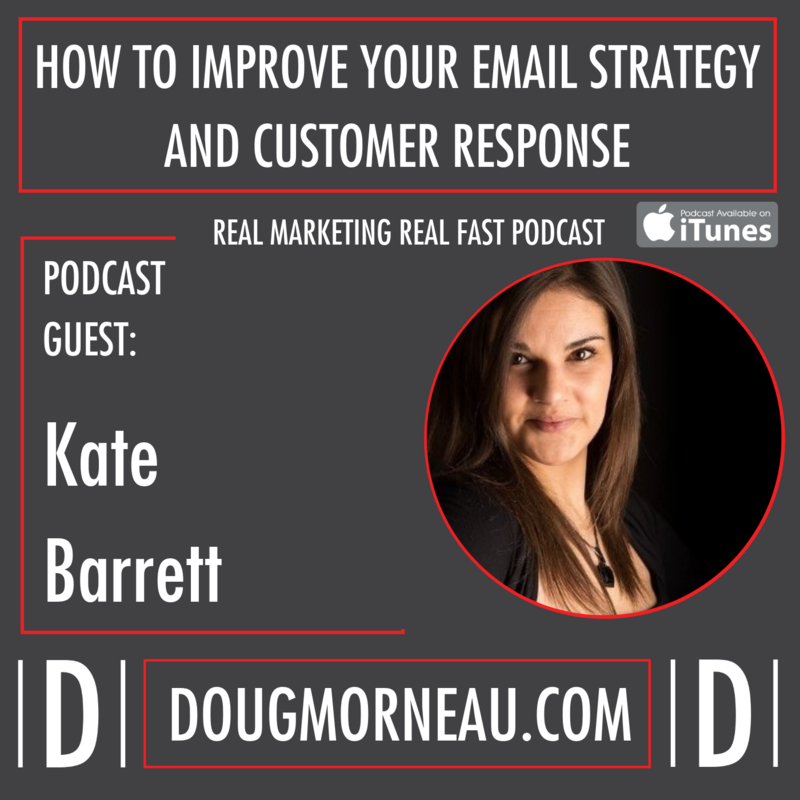 So, do know some basics about email marketing, because in terms of booking podcasts, a lot of times there's not going to be an option for a phone call. So you have to figure out how you can correctly get in touch with the person via email and know the rules around that. Doug: Yeah, that makes sense, and I've used Hunter.io as well, too, to find people's email address so you get in front of the right person, and what I did, I'm not sure about your approach, but I set up a separate Gmail account specifically to do that, so it didn't come from a company account. Jeremy Slate: Yeah, same thing here, because it's much better received if you're coming to somebody as an individual than like, “Hey, I'm CEO of XYZ Company.” It's just received differently because maybe they're not going to like the company name in the email address. You're just trying to make this the easiest layup as you can, and just what you're saying by setting up a separate Gmail address is a great way to of that. Doug: So, what's some of the bad advice you hear out in the industry around people getting booked Don podcasts? Jeremy Slate: Spray and pray, homie. Spray and pray. That's my least favorite one is, when people take and they set up an email marketing list of all these podcast streams and start just booming it out there. You're really going to annoy people that way, another thing that I've actually, you've probably experienced this as well, but there's something called Boomerang and Boomerang is a Gmail add on, that basically you can set it up, after a certain amount of days, if an email is not opened or whatever, or looked at, to resend the same email. Now, here's the thing. I wouldn't recommend you do that. I would recommend you do this in real time, but if you're going to use something like that, make sure you're reading your email, because I had somebody pitch me the same guest seven times, and each time I told them no, and still got the same email. I was like, “Oh my, God. Dear God, please stop it. Please stop.” So, you really want to make sure, because that's going to hurt your chances if you aren't a fit right now of getting on that show in the future. So, I really do recommend doing everything you are in terms of getting on a podcast in real time. Don't just say, “Hey, it's the rule of big numbers.” That's not always the case when you're trying to get a booking for something like this. Doug: No, and that's the temptation. The temptation is, “Hey, if I can send out 100 emails a day to get on a podcast, I'll get more podcasts,” but like you said, you got to consider what your time's worth, who their audience is, and I find like you said, it's really just hunting for that one person at a time, and sending a custom pitch saying, “Hey, this is, I'm interested in following up with you and potentially being a guest. This is what I like about you. These are the episodes I've listened to,” and be sincere. Don't send out, telling me you've listened to my show, and you've never listened to my show, or you gave me an iTunes rating, and you haven't given me an iTunes rating. I mean, be honest, be transparent, be upfront, and one at a time take a personal approach, and I find it converts better. Jeremy Slate: And there are a couple of things I would add to that, too. If you're not a big fan of the podcast, don't say you're a big fan of the podcast, because they're probably going to information and you don't know about it. So, don't say that. The other thing is, if you're going to use a template, that's fine, just make sure you customize it to the person that you're speaking too, you know, make sure you make it relevant to them, and if you have placeholder name tags in that email, make sure they say the correct names, like really just do that. My parents did not name First Name Fix, or Insert Name Here like they didn't do that, or they'd be a great show for “Insert Show Name Here”. Just make sure you do that. Doug: Or you cut and paste and forgot to remove the last person's name. Jeremy Slate: My name is Nathan [Lackombe 00:25:28] what are you thinking? Jeremy Slate: I got an email once from somebody that pitched me and said, “Hey Nathan Lacombe,” and I'm like, “That's not me, but I am friends with him. Doug: That's funny. So, what's the best pitch you've ever received for someone to be in your podcast? Jeremy Slate: Oh. Wow. Do you Sherri [inaudible 00:25:46] by any chance? So, sometimes in that way, it's just best to really give your story and really be raw with it, because if you have a good story, it's going to be a lot easier to book you, because people are just like, “Wow, I'm really interested in that, and I can see the impact it's going to make.” So, to me, that was the best story. Now, not everybody can have that, because not everybody has died for 90 minutes, you know that just doesn't work that way, but figure about really looking at your moment of impact that got you doing what you're doing, and really talk about your moment of impact. Because there are people in that audience that are just about to have that moment happen to them, and they need to hear your story. Doug: Yeah, I mean there are lots of people that have way, way better stories than I do, but that's their story. Doug: I'm not sure I want it to be my story, or that sounds cooler, I mean that's just not the way it is, like you said, you've got to own your story, where you've come from, where you're going, and there's going to be people that are in that same place or have been there before. Jeremy Slate: Hey, man, a lot of people want to be Justin Morneau's cousin, but only you are, you know? Doug: Thank you. Thanks for that. Jeremy Slate: I just got my Yankee opening day tickets. So, I had to drop a baseball reference in there, anyway. Jeremy Slate: This is what I would say, “I want you to consider if you don't do it now, what's going to happen in a year from now? What's going to happen in five years from now?” People are going to know your competitors more than you. If your business isn't growing, it's definitely not going to be growing in a year from now if you don't do something. Do you know what I mean? So, you really need to consider where you're going to be down the road if you don't take action now. Maybe you're not going to take full action, but if you don't do something, life isn't static. It's never the same. It's either growing or dying. So, you need to be doing something to grow, and maybe it's not getting on podcasts, but I recommend it would be, but you need to do something to move your business forward now because it's not just going to magically change. Doug: Yeah, fair enough. I mean, next year is going to come whether you're on a podcast or not. Doug: So, grow your business. Doug: What are you most excited about right now? Jeremy Slate: Does it have to be business related? Jeremy Slate: The movie “The Greatest Showman”. I've watched it six times. Have you seen it? Jeremy Slate: Oh, my gosh, and we actually just recently, we started looking for homes, and we found one of the homes that were owned by one of the Ringling Brothers, and it's like our dream home. So, we're like so super stoked for it. So, I'm excited about anything having to do with The Greatest Showman, Hugh Jackman, or circuses at this moment. Doug: There you go. In terms of podcasting, there's lots going on right now. So, what do you see? I mean you've been in this area for a while, everything I look at is pointing like hockey stick curve like podcasting didn't exist and it looks like it's going to the moon. Jeremy Slate: I think what we're really hitting, and I want to give you the publication that talked about this, but I can't remember which one it is. I feel like it was like Ink or something like that, but we're really in a golden age of podcasting right now, because we're seeing other mediums like radio and TV, and they're just doing as well as they used to be because the user is changing. The user wants things when they want them, and that's why Netflix, and Amazon Prime, and all these things are doing so well. So, I think podcasting is really prime to jump right on that. Last year there were 550,000 podcasts out there and we're already up to 660,000. It's growing very, very quickly and the advertising market this year will top a $1 billion in advertising money spent on podcasts. So, it's a very quickly growing market, and I would say if you're not in this market, and your business is in this market, you're crazy. The barrier to entry right now is so low in comparison with so many other things and the results you can create is incredible. Because not only are you just, whether you're a guest or a hose, not only are you just creating content, but you're doing all these other things because it's online. You're getting backlinks to link your website. You're going to show up in other search terms. So, you're really changing your online footprint like nothing else can, by doing that. Have you heard the SEO say I think it's, A-Refs or something like that it's called? Jeremy Slate: Okay, A-Refs I think it's called. They did a study where they bought, I think it was $15,000 in podcast advertising, and they got a few leads and it was great, but then over the next three months, they looked at their website traffic. Month two it doubled. Month three it tripled. It changed their online footprint, and I think that's the thing you need to think about when you're creating content through either running a podcast or being a guest is you're making it so the future will be different for you. Not just leads, not just money. Doug: Well, and I think we need to think beyond just the audio. So, we've created an audio file, which is great and people can listen to that on iTunes, and Spotify, or whatever their preferred platform is, but beyond that, like you said, we've got … we transcribe the content, so now you've got SEO keyword rich content, which helps your ranking. Like you said, you're going to get more SEO because you're going to show up in all these different platforms that play the audio files as well as a good solid backlink, and if you just add all those things up, and think of all the people you need to have place in your traditional to set that up, and to pay for someone to go get backlinks. That comes along kind of free with the program. Jeremy Slate: And the thing that's even interesting about that, like in terms of like your sight authority score, like how authoritative is your website? A lot of these places that host files, like Libsyn or Pod Bean, I mean they have authority scores of 90 out of 100 or more, which is crazy, because sites like Forbes have ones that high, but there are no follow links. So, they don't give you any link juice. A lot of these sites are follow links, and they come from high authority scores. So, it's just like, “Whoa, that's so easy to do that,” whereas you're hoping a publicist is going to get placed on Forbes or Ink or one of these other ones, and it's actually no follow link. Doug: Yeah, absolutely, and in those days, people would pay a fortune to get a follow link from a high authority site like that. Doug: So, who's one guest that you think I absolutely have to have on my podcast? Doug: This is from the guy who specializes. Jeremy Slate: Oh, gosh. There's so many I've really enjoyed, and I feel like it really depends on when you ask me this question, because it's always, always, always changing. The first person I thought of is, I'm a huge football fan, so I had Ohio State head coach, former Ohio State head coach Jim Tressel on. Like if you get Jim on, man, he was amazing. He brought so much value. Gosh, we both talked about Scott Bradley. Scott had so much amazing value to offer. If you could have him on I would do it. But I feel like there are seasons to our podcasts, right? Because it's like you could have one interview this week that could change your mind on it. It's just there always brand new people coming on that are just crazy amazing and awesome. Doug: Absolutely, yeah. I've been moving more towards the AI side right now. That's a very hot topic, and there's lots of confusion. So, we're trying to provide some clarification, and then identify the opportunities in that marketplace. Doug: So, where can people find you? Track you down and learn more about what you do, and who you are, and how to connect? Jeremy Slate: Absolutely. So, we've talked a lot about how you can be a great podcast guest and look at those shows, and to me, podcasting has absolutely changed my life, and it's even changed my podcast by learning how to get on other shows. So, I really want that to happen for other people. So, we put together a really awesome worksheet, and if this is the only thing you do to really move your podcast forward this year, I recommend you do that, and that's over at commandyourbrand.media/checklist, and that's going to show you how to locate shows, how to put together your pitch, and really start growing your podcast presence. Doug: Well, that's amazing. I really appreciate you taking the time today. I mean, I so admire what you're doing, and it's just great to watch what you're doing and the people you connect with, the quality of the content you produce is just absolutely top notch. Jeremy Slate: Thank you, so much, Doug. I really appreciate taking the time today, man. Doug: So, there go, listeners. I would suggest that you track Jeremy down, take advantage of that worksheet that he's got, and make sure you connect with him on social and get into his podcasts. He has some great, great guests on his show. So, I just wanted to say, thanks again for taking time today, Jeremy, and looking forward to reconnecting with you at the next event. Jeremy Slate: Thanks, man. Same here. Doug: So, there you go listeners. So, thanks for tuning in. Don't be shy. Make sure you subscribe to our email list, and if you like this episode, feel free to leave some comments at the bottom. We'll have the show notes transcribed, and I'll make sure there's the complete link so you can get that self-help guide to figure out how to get on podcasts, how to identify the right shows. So, thanks for tuning in, and I look forward to serving you on our next episode.